Save yourself time and the hassle of double entering data with the AgSync accounting module. Billing, inventory, personnel records and more can be easily managed to help invoice sooner, and get paid faster. The AgSync invoicing and inventory module will streamline your application financials. When a work order is confirmed completed, a line item is automatically created. Billing customers is as easy as a few clicks, so you can get paid faster. 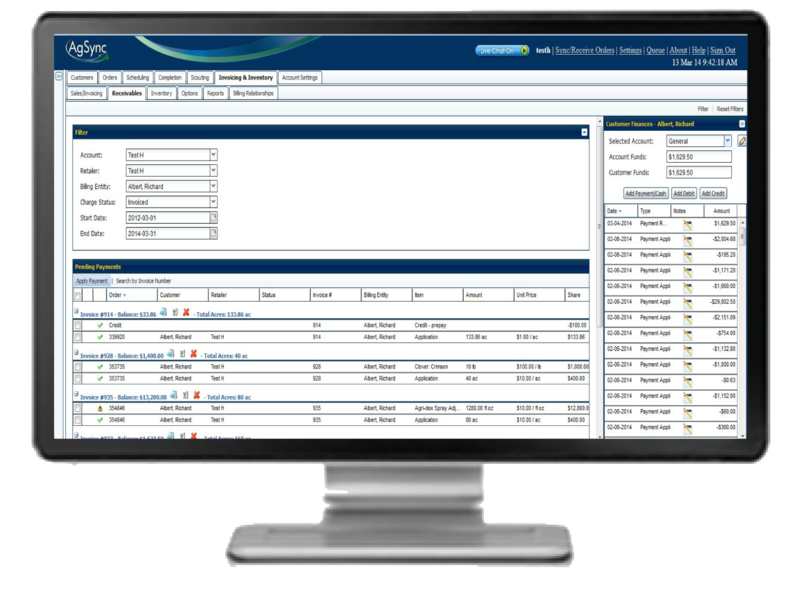 Control your inventory levels and print product reports for simple product data management.